Title by Cataloger. 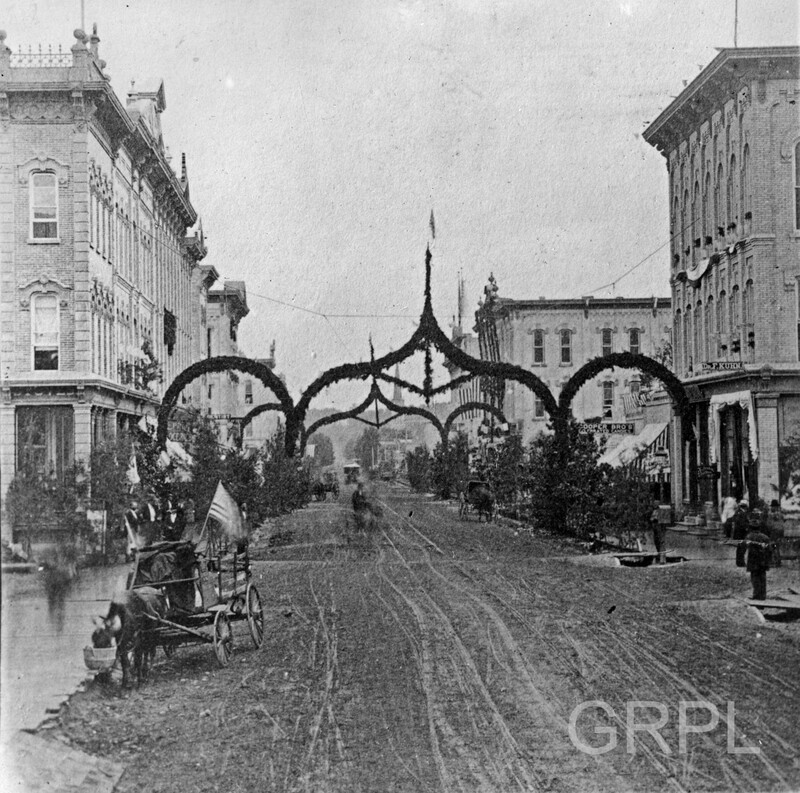 Note the similarily to the image titled "Centennial Arch on West Bridge St."--an engraving probably based on the photograph. This view of West Bridge St. show the district rebuilt after the great fire of June 19, 1875. #66, Guy Johnston Photo Collection, History & Special Coll. Dept.